Yesterday, I was surprisingly contacted through email by Jack Sallay, Vice-President of Marketing of Vook.com, reaching out to me to ensure I had a proper experience of their new Vook product. I assumed he either saw my harsh comments on my blog or my Twitter account. Without fully divulging the details of our email exchange, Jack Sallay did bring to light some information I did not previously know regarding the company and founder, Brad Inman and how the Vook company interacts with the major publishers. I asked some pointed questions. He answered some and disregarded others. I did tell him that that I had every intent of being fair and accurate in my review. But I did make known that my biggest issue with Vook had mostly to do with their proprietary and closed approach to incorporating video with the book experience. Quite frankly, I credit the folks at Vook for hugely accelerating my plans. There is so much press activity right now with the newly-announced Nook by Barnes and Noble and the just-released Vook. As an underdog publisher with my own plans, there was no way I could be silent especially when their plans are in direct conflict with mine. Although Vook and I are not direct competitors in the traditional sense and actually agree on many of the larger concepts, I think we are significantly different in our approach. 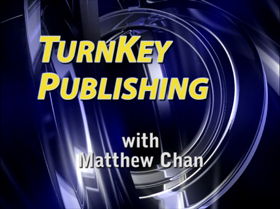 I believe they have a niche that will be suitable for certain clients, publishers, and authors. But make no mistake, open standards will rule the day. Even Bill Gates and mighty Microsoft could not stop the open standard movement that started in the 1990’s until today with the Internet, Linux, Internet Browsers, and the like. The mighty music recording industry has been brought down to their knees in recent years with the iPod and MP3. The giant old-school newspaper industry are collapsing around us with free news sites and active bloggers. And now the traditional publishing industry is next in the economic crosshairs for their eventual erosion and perhaps even collapse with the advent of print-on-demand, self-marketing, ebooks, and other innovations. In its place, there will be a HUGE movement of self-published authors and independent, non-traditional publishers will rise in its place. It is already happening but most employees within New York publishing and traditional publishing are oblivious. But that doesn’t bother me too much because it works to my advantage. What I won’t let go without a big fight is let the proponents of the traditional publishing industry dictate and brainwash the lesser-resourced and perhaps less-technically-oriented self-publishers and the independent publishers that the “big guys” can “takeover” and establish the “new standard” and conversation of including/incorporating video with the book reading experience. The standards and the open technology exist today. The technically-savvy already have insights of what I am planning. But what does NOT YET exist is a professional sample of the true-to-life implementation. In the absence of anyone stepping out, I have decided I will provide a Version 1.0 implementation that will work from Day 1. I don’t really have time to wait for “someone else” to do it. I intend to take my case direct to self-published authors and independent publishers and empower them by showing them my version. With all the creativity and mindshare, they can then take what I have done and build and expand upon it. Stay tuned for more updates in the days to come.